Sassy Floral & Design is your friendly local florist proudly serving the St. Anthony area for over 8 years with exceptional service and the highest quality flowers and gifts around. Sassy Floral & Design is open to serve all your floral & gift-giving needs: Monday through Friday 8:00 to 5:00 ~ Saturday 10:00 to 2:00 ~ Closed Sunday. We hope you enjoy your online shopping experience with secure 24-hr ordering right at your fingertips. To place orders direct, call (208)624-4414 or (877)215-1615. Our friendly and knowledgeable staff is ready to assist you when you need flowers delivered locally or anywhere in the world. 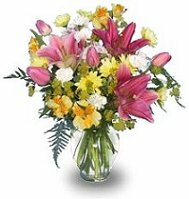 We also offer daily delivery to local funeral homes and hospitals. Wedding & Special Event Flowers ~ Let us help you plan the flowers and on-site decorating for your wedding, a corporate function, holiday party or any special event - large or small. Call (208)624-4414 or (877)215-1615 to schedule a consultation with one of our talented floral professionals. 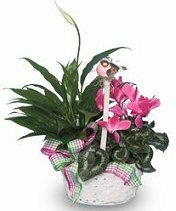 Gifts for All Occasions ~ Browse our variety of Green & Blooming Plants, European Gardens and Planter Baskets for gifts that bring life to any room, office or outdoor space. Find unique gift solutions like our candy bouquets and balloon bouquets, as well as lots of great add-on gifts when your floral delivery needs a special personal touch! Wonderful Homemade Candies ~ Baked Goods ~ Holiday Breads ~ Fresh & Permanent Seasonal Wreaths and more! Thank you for visiting our website for flowers delivered fresh from a local Saint Anthony, ID florist and convenient online ordering available 24 hours a day! !